I was looking for a remote desktop experience for a recent Ubuntu version. 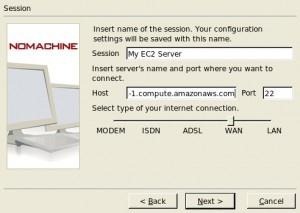 Amazon Cloud offers an excellent alternative for the novice like myself. Free of charge and very flexible. The star means it is free for 750 hr of usage and a year. From windows I used putty to log in. For configuring putty connection I used this link. 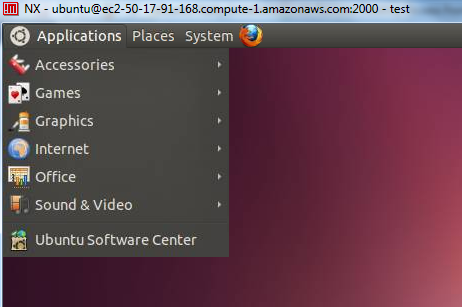 Ubuntu is the user name for the putty session. You do not need the password because you will use the hash that you created. It will install lot of stuff. So don’t get surprised if it takes 10 to 15 minutes to finish it. 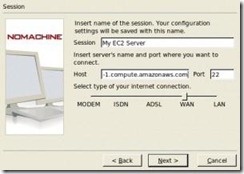 It is recommended that you use the NoMachine key for easier setup. If you answer “y”, FreeNX creates a custom KeyPair and expects you to setup your clients manually. “N” is default and uses the NoMachine key for installation. I would say answer ‘N’ which is the default. If you answer Y, you will have to generate keys and put them at a specific location in the client. 3) Enable password authentication on the ssh server Edit /etc/ssh/sshd_config and set PasswordAuthentication to yes. I used vi asn an editor. vi is an interesting editor. Scrolldown and find the line. hit insert and insert yes. Now install the NoMachineNX client on your Desktop. You can download the client formhttp://www.nomachine.com/download.php. You can install it by simply double clicking the downloaded file. Once you install it, click on the NX Connection wizard to setup a new connection. Fill in the values as shown below. Make sure that you put in your server address in the host field. 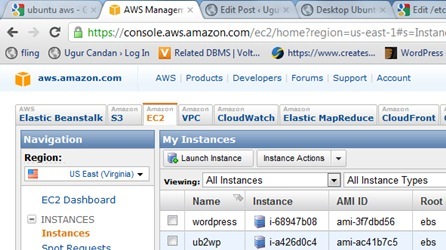 You will get all the details for the login info from aws instance details. Hiya, I am really glad I have found this information. Nowadays bloggers publish just about gossips and web and this is actually annoying. A good site with exciting content, this is what I need. Thank you for keeping this site, I will be visiting it. Do you do newsletters? Can’t find it. I such as this blogging site extremely considerably great information and facts.